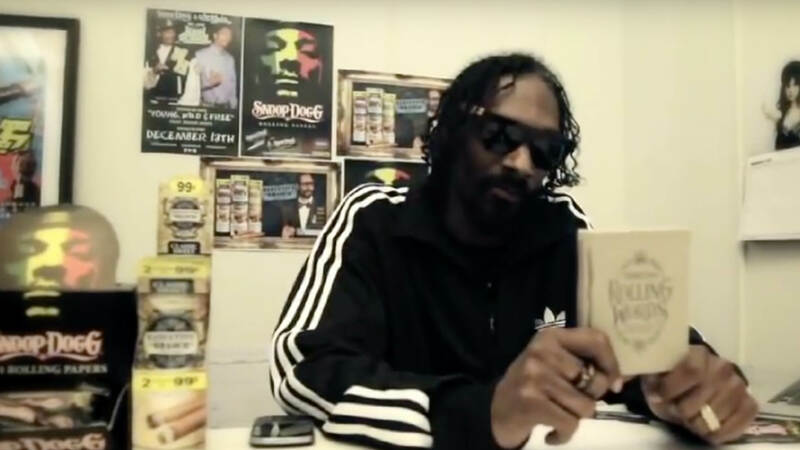 Introducing Rolling Words, the smokable songbook created as a promotion for Snoop Dogg’s Kingsize Slim Rolling Papers. Each page is a rolling paper with Snoop’s greatest songs and lyrics written on them — in non-toxic ink — for your rolling pleasure. The pages are perforated, making them easy to detach. The book is made of hemp-related materials, with the cover, binding, and internal lining all made from hemp seed paper while the spine of the book is a match-striking surface. Roll with Snoop!